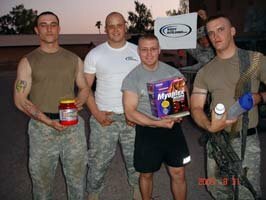 Bodybuilding.com Supports Our Troops Overseas. A letter from the 2nd Platoon Ligers. They have received our care package of supplements and are now putting them to good use. 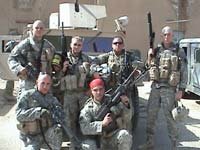 See what some of our troops in Iraq have to say. As you well know the men and women of the US armed forces have been spending an extensive amount of time in the Middle East. On Tour Of Duty At Camp Habbaniyah, Iraq. This has been a very difficult task for many of these men and women because of the conditions they are in and the fact that most of them are leaving full time jobs and family behind. 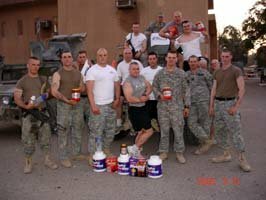 We at Bodybuilding.com support our troops and the service they are giving abroad. It gives us great pleasure to take this opportunity to show the kind of support we have. So far we have been able to send some care packages for their health and training needs. We have received some great responses from those who are on the receiving end of these care packages and would like to share it with all of our loyal Bodybuilding.com readers and visitors. 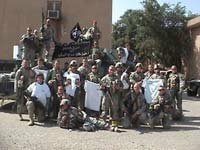 We would like to take this opportunity now to share with you some of the information and letters we have been receiving from out troops in Iraq. Check it out! I would like to start of by saying thank you! For so many reasons I need to say this. 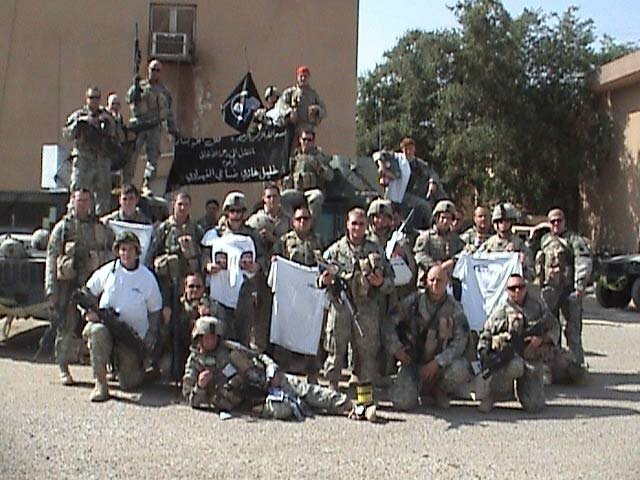 In January 2005 Alpha Company 110 Infantry among others were given deployment orders to Iraq. The deployment started with six months in Camp Shelby Mississippi, one month at the Army National Training Center in California and two weeks in Kuwait, before arriving here in June at Camp Habbaniyah, Iraq, for a one year vacation. For a National Guard Soldier six months is the longest time expected to be away from family and friends. If you do the math six months had came and went before even leaving the United States. My Platoon, the 2ND PLATOON LIGERS, like many other platoons, are made up of a diverse group. Many of my men are college students attending Indiana and the University of Pennsylvania, some missing their senior year to come on this deployment. Others have full time jobs, wife and children. Two men missed their first child&apos;s birth. Needless to say being away is not easy. We do have the internet and phones but these systems don&apos;t always work, and we don&apos;t always have the time to use them. The food is nothing like our mother&apos;s cooking, that&apos;s for sure. There have been many times when a packet of plain tuna seems more inviting than the hot food offered here. My Platoon has just come off of a fifteen day cycle of being the mission platoon, where we would go outside the wire; two to three missions in a twenty-four hour period. One mission alone requires much involvement from every solider, and would put a normal man to sleep for days, these men do up to three missions a day with as little as four hours of sleep a day. My point is that motivation to keep going can be hard. There are times when one must sit back and think about what they are fighting for, and why they should keep fighting. Many of us think about our family and friends at home, and what it will be like to see them again. Another thing that brings a smile to our faces is mail from home, a package with "real food" or a letter telling us thank you for all we are doing, and it may not even be a person that we know. The pictures we are sent help us remember the people we are fighting for. All of us cling to the things that are sent to us and use them for a constant morale booster. It is a beautiful sight to get packages from Bodybuilding.com, someone who doesn&apos;t know us, someone who has bigger and better things to do, but still takes the time to stop and remember, remember the men putting there lives on the line everyday. Your free supplements have helped us maintain an optimal level of physical fitness and motivation, even with our degraded facilities and lack of time. These things may not be very difficult for a company of your caliber, but you have made more of a difference for us than you could ever know. Many of the men in my platoon have already visited your web site to order supplements and learn more about bodybuilding. As a personal trainer I understand the importance of motivation and knowledge when training. Your web site and your gifts have done wonders for these 37 men, so far from home. So from the 2ND PLATOON LIGERS THANK YOU!!! The War In The Middle East: Military Muscle. Despite the changes in training environment, the men currently serving in the Middle East are still able to workout and make gains. Read their stories and how they are coping.